Glen Jakovich was one of Western Australia’s highest profile and most respected AFL players. He commenced his football career with South Fremantle Football Club in the W.A. Football League. In 1990 he was drafted to the WEST COAST EAGLES and made his debut for the club in 1991. He quickly became a champion centre half back and was an integral member of the West Coast Eagles team which won AFL Premierships in 1992 and 1994. The 1992 Premiership was the first time the trophy had been won by a non Victorian team. Glen was named West Coast Eagles Club Best & Fairest Player in 1993, 1994, 1995 and 2000. He was chosen as an All Australian player in 1994 and 1995. Glenn retired from AFL football in May 2004 having played 276 games for the West Coast Eagles. 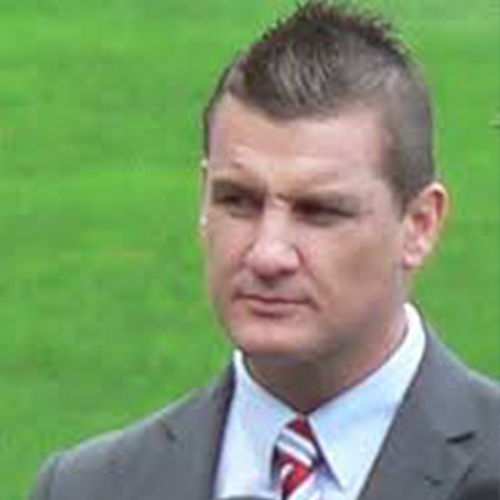 Since retiring from competitive football Glen has carved out a new career in media and is a regular AFL commentator for Radio 6PR Perth and Fox Sports nationally. He is also a regular panel member of Radio 6PR’s various sports programs. Glen was also an AFL All Australian Selector for four years and an Assistant Coach/Mentor with the AFL/ AIS Academy working with 30 of the best 17 year olds in the country. He is also a much sought-after speaker for corporate, government and sporting events. Darryl Lathwell, General Manager, WA Mechanical Services.